Let's just say to blame the batteries. If there’s anything one needs to know about electric vehicles it’s this: batteries are big and heavy. 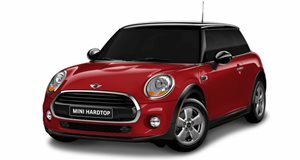 Given the fact Minis are neither, this poses a problem as the brand attempts to go electric. spoke with Mini boss Peter Schwarzenbauer about the difficulties of switching to electric powertrains and how he firmly believes that creative and effective solutions will soon be found. “Electrifying Mini is quite a challenge, chiefly because of the small footprint of the cars,” he said. “But if you look at the role of electrification in the urban environment and the desire to be local emissions-free, there is no other brand with the credentials of Mini. It should be a natural fit, and that is the direction we’re moving towards for the future.” That future will actually begin next year with the arrival of the Mini E, which we already saw in . Another positive for Mini is that it’s already begun moving towards electrification with the PHEV Countryman. “The success of the plug-in hybrid Countryman shows what can be achieved, and the full electric Mini that is coming will show another step.” Schwarzenbauer adds. To help offset the high costs of EV development, Mini, which is owned by BMW, has . Future Mini EVs will be built in China, but for now the existing Oxford, UK, production plant will also build the Mini E. Reason being is a UK law that requires a proportion of a vehicle’s parts to be locally sourced and manufactured. 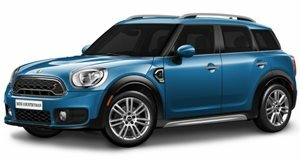 About a year from now, the first reviews of the Mini E will have arrived, making it clear whether or not a Mini with a battery and electric motor is still a proper Mini. It's not the size, it's how you use it.